Replacement or Repair with Vinyl, Cloth or Leather. 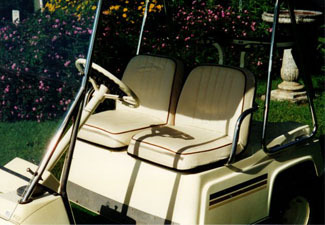 All types of seat repairs to all types of vehicles including Boats, Cars, Trucks, Planes , golf buggies and Buses from cigarette burns to tears. In most cases we are able to match the material with the existing seat material. Re-Springing and Re-padding also available.